WSU men’s basketball guard Chris Golden. 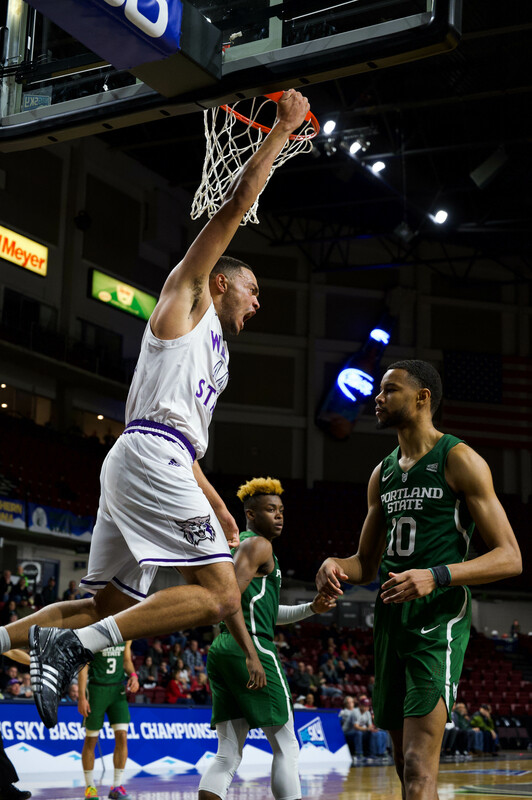 On a night where the Weber State University men’s basketball team needed someone to step up, junior Chris Golden rose to the challenge, scoring a career-high 24 points in the 61-57 victory against Idaho State University. Along with setting a career high in scoring, Golden also pulled down a career-high seven rebounds, made one block and had two steals. Golden scored 18 of his points from beyond the arc, making a career-high six three-pointers. It was only the second time this season a Wildcat made six three-pointers in a game. The first time came from freshman Ryan Richardson when he scored a career-high 22 points against Eastern Washington University. Golden is tied for 14th in the Big Sky Conference in three-point field goals made, averaging two per game. Golden’s performance against the Bengals earned him co-Big Sky Player of the Week honors. He was the first Weber State player to be named Player of the Week this season. When it comes down to what the key to his success is, Golden said that it was about doing whatever the team needs him to do. Golden and the Wildcats return to action Saturday night at the Dee Events Center for their regular season finale against Eastern Washington University at 7 p.m. Looking forward to the Big Sky Championships next week, Golden said that he was confident in his team.